Habits are very easy to form and very hard to undo. If you’re here, it’s either because you’ve already decided to take steps toward breaking a habit or you’re trying to figure out if trying is even possible for you. Either way: congratulations. Breaking a habit, no matter how minor or severe, is just as hard to take on as it is to continuously commit to. You CAN do it, and we’re here to help you get started. We’ve compiled a list of simple steps you can personalize to fit your own agenda and use to kick your habit for good. Have you ever made a New Year’s resolution or decided to make a change due to a major life event? Have you ever set a goal so high you were completely confident it would push you out of your comfort zone and motivate you to be the absolute best you could be? We’ve all done this. The problem with this seemingly optimistic way of thinking is that, if we don’t set goals we can actually reach outside our own fantasies, we’re not going to be able to achieve them. Similarly, if they’re too general—like saying you want to lose weight without specifying how much or a time frame—there’s no way for us to slowly work our way toward the finish line. Regardless of what your habits are or how they are negatively impacting your life, the first step to breaking them is to set goals. Not just any goals, though: SMART goals. Goals that are specific, measurable, achievable, realistic and timely. Let’s say you really are trying to lose weight this year. Your doctor or dietitian will help you come up with a healthy target weight and how much weight it is safe to lose per week, which will give you a specific number to work toward, a way to track it, professional assurance that you can reach it and a time frame you should be able to reach it in—all ingredients that will help you break habits such as overeating or making excuses for not working out. If you have ever caught yourself in the middle of engaging in a specific habit without even realizing you were doing it, you might find it extremely difficult to turn off that subconscious autopilot and change your behavior. Habits come in three parts: the trigger, the routine and the reward. Psychologically, something triggers you to engage in that habit repeatedly over time. You start to respond to that trigger in a similar fashion with every trigger, and are in some way rewarded for engaging in that behavior. Every habit has a trigger, and finding it might take a little practice. Breaking a habit means you’ll have to train yourself to identify what makes you want to engage in the habit you’re trying to break free from. 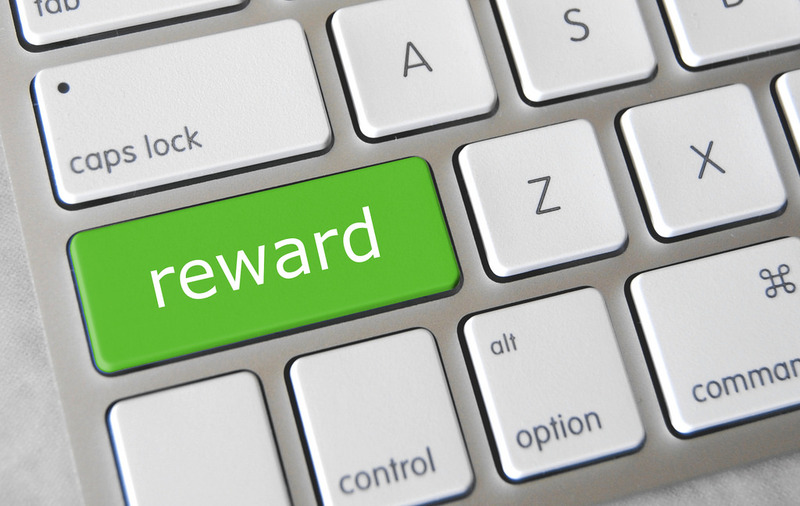 You’ll also have to consider what reward engaging in that habit gives you, and come up with an alternative method for receiving that reward without engaging in the habit. That is why this is only the second step. You still have a ways to go. Sticking with our example goal of reaching a healthy weight this year, let’s think about goals as staircases and milestones as landings separating different sections of stairs. If you’re trying to reach the very top of the staircase, you’re going to be tempted to stop and give up when you come to a landing. This is completely normal. It is also a hurdle you are completely capable of overcoming if you make it a point to associate each small milestone with a huge victory. With every victory should most definitely come a reward. Remember: the reason you have habits in the first place is because you gain some sort of psychological or physiological reward for engaging in that habit. That bag of potato chips seems to reduce your stress levels, so of course you’re going to eat the entire thing. Replacing that habit with a different one (i.e., walking up some stairs for exercise) gives you the same reward without engaging in the habit you’re trying to break. The same way you might do a little victory dance every time you reached another landing on that staircase, you should reward yourself every time you are tempted to engage in the reward-seeking behavior but don’t. If you go a whole week without binging on potato chips, go see a movie over the weekend. Buy yourself a new book or DVD or something else you don’t need, just because you earned it. Saying we are going to break a habit is a very brave thing to do, and you should always be proud of yourself for taking small steps to better yourself. If you never take action and act on that spoken promise, however, it doesn’t mean anything. It’s like saying you’re going to throw away the rest of the potato chips but never actually do it. Instead of keeping your promise to yourself, start by telling someone about it, even if it’s just one person. Having someone outside your own head aware of what you’re trying to accomplish takes an imaginary aspiration and turns it into a real goal. Ask the people you tell about your goal to break a specific habit if they would be willing to hold you accountable throughout your journey. This could mean they check in with you once a week to see how you’re doing, act as your trainer or motivational coach or be the person you call or text when fighting temptation. Choose someone that truly cares about you and your goal and understands why you want to break your habit. If you ask, they will do whatever it takes to help you. If this accountability partner needs to be someone more reliable, like a doctor or therapist, make the appointment. It will not hurt you. The hardest part about breaking a habit for good is bouncing back when things suddenly take a wrong turn. Maybe you were doing great, hitting milestones without even needing too many rewards and really feeling confident. Until something really stressed you out at work, and you just couldn’t resist the urge to run back to your negative habit. Most important out of all the steps we’ve gone over is using your setbacks as launch pads for forming better habits. When we look at a setback as a failure, all the confidence and structure we’ve built up over time, all the progress we’ve made so far, crumbles in front of our eyes. It starts to look and feel like none of it matters, that we tried and we went backward instead of forward and we’ll never be able to break the cycle. Instead it’s essential to find the lesson in every shortcoming. If we pay close attention to the patterns, and the way our triggers sneak up on us, we can slowly build up defenses to guard ourselves against the lead-in to engaging in every habit we are trying not to succumb to. Before we can move forward, we have to teach ourselves how to pick ourselves back up each time we fall. Decide which habit you want to break and get started today. Follow these steps, no matter how long it takes, no matter how many times you have to repeat them. It does get easier, and you are going to break this habit this time. Good luck!